Buy Xbox Live - Activate, have fun! The Xbox One or Xbox 360 experience only becomes a real treat with the use of prepaid cards. In the VGO-Shop you can buy codes worth from 10€ to 75€. With the credit you can do purchases at the Xbox Live Store at will, just online. There are Xbox Live Arcade Games, various additional content for the Xbox 360 and Xbox One, games, avatar features or seasonal passes. The Xbox Live codes offer many advantages. It can be easily synced with all existing devices. Smartphone, tablet, PC and Xbox are always on the same level. To use the credit, you must pay attention to the correct country setting. 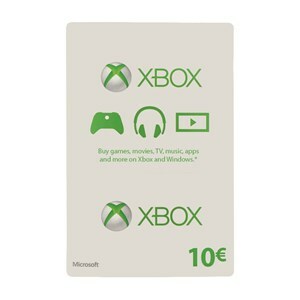 Choose between Xbox live cards in Euro or Dollar currency. This must match on all devices. The Xbox Live prepaid card also gives you access to content outside the Xbox Store. This includes a variety of interesting apps that you can purchase at the Windows 8 Store (V8.1 or higher) and the Windows 8 Phone Store with Xbox Live credit. Xbox Live credits offer members new uses besides new games, add-ons, exclusive discounts and Games on Demand titles. You can choose from over 30 million songs that you can stream, download and collect on your devices via Xbox Music. Xbox Video gives you the ability to rent or buy the latest series and movies in HD. Simply buy Xbox Live codes, redeem them and get started. The contents are available immediately after entering the code. Whether tablet, PC or TV, to buy Xbox live makes you see what you want, anytime and anywhere. You want to experience all the advantages of Xbox live? Then you should buy Xbox Live Gold now and benefit from outstanding offers. You want free games every month? A great teammate who is second to none? Great discounts of up to 75% on games? Then the Xbox Live Gold Membership is just right for you. 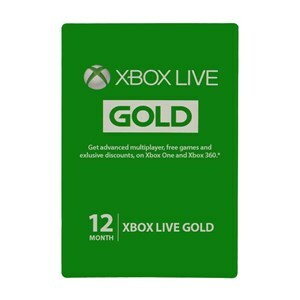 The Xbox Live Gold Codes are available for a variety of periods - the choice is yours. They are available for Xbox One and Xbox 360. What awaits you with the Xbox One Gold membership? What is the Gold Membership of the Xbox 360? Are you looking for a present that will make you happy? Buying and giving away Xbox Live Gold is an original idea that allows you to easily switch to online multiplayer gaming mode. The membership is ideal for all game fans and is also available in a short version to try out. Anyone who has tried it once will not want to miss it anymore! Buy Xbox Live Gold now and get to know the Xbox from a whole new page.